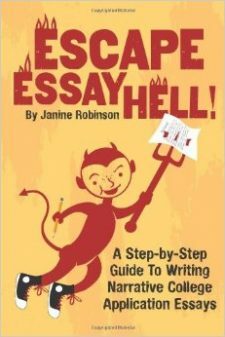 in Essay Hell’s Heavenly Essays Contest! One of the first things I advise students to do when they start working on their college application essay is read sample essays. There’s no better way to get topic ideas and learn how to write in a narrative style than by reading what other students have written. I usually direct them to a couple of my favorite collections of sample essays. But after working with hundreds of students on these essays since 2008, I realized I have a source of wonderful samples. You guys! Many of you wrote your essays using my advice and guidance to find and tell your stories. And I know first-hand how terrific most of them are. It seems a shame that only a few people ever got to read them. Cash Prizes! Become a Published Author! Help Other Students!